The OKeh '6800' series was the fifties revival of the subsidiary of Columbia, after having been being discontinued for quite some years. Many people remember OKeh as an important Rhythm & Blues and Soul label, and it's this series, that ran until 1970, that they remember. The connection between the label and African American music is much older though. It dates from 1920, when Otto K.E. 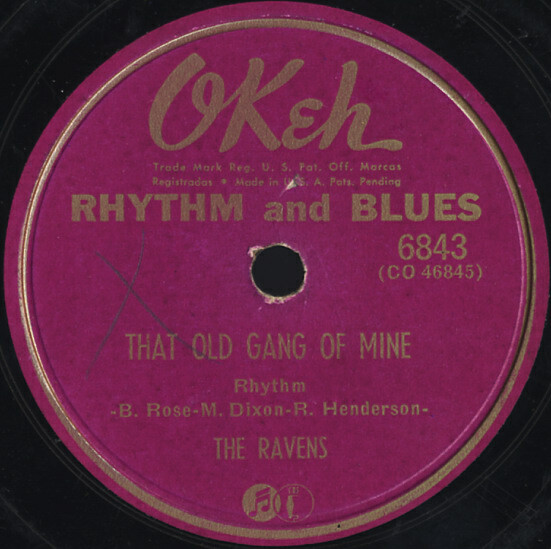 Heinemann, owner of the label, started to find new markets for his records and found them in specialty releases for ethnic groups, such as Yiddish, Polish, Irish and German. An experiment to record some sides of blues singer Mamie Smith led to a million-selling smash with her Crazy Blues. Soon, OKeh started a separate series for this newfound market and started recording blues singers all over the country in mobile studios. Today music from the fifties series of the label. I did a show on the label over a year ago - and here is where I ended last time.